Want to Rent? Colorado Is the Place! Need a Beautiful City to Search in for the Next Apartment You Want to Rent? Colorado Is the Place! 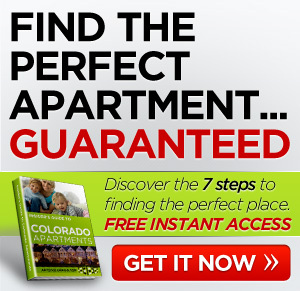 So, you’re looking for a new apartment to rent in Colorado? 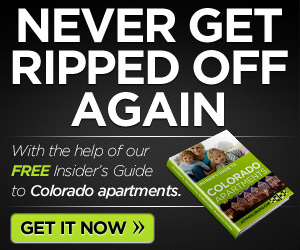 Colorado offers some of the most beautiful cities in the country, but unless you want to end up in the mountains somewhere with no access to grocery stores during the winter months, you need a guide of cities with great apartments. 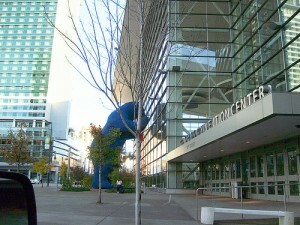 Denver is the capital of Colorado and has much to offer residents. The climate is wonderful and there are 4 distinct seasons. The city has over 200 parks, so even though you live in the city, you’ve got plenty of opportunities to get outside. Denver is also the largest city for 500 miles, so it serves as the hub for smaller towns all around. This helps keep the local economy strong, which means it’s a little easier to find and keep a job. Median gross rent for Denver was $828/month in 2009. Just over an hour to the south of the capital, Colorado Springs is the second most populous city with apartments for rent. Colorado Springs population is about 416,000 people. While the city still has 4 distinct seasons, the weather is a little warmer here than in much of the rest of the State, which keeps heating costs down in your apartment during the winter. Median gross rent for Colorado Springs in 2009 was $766/month. Part of the Denver metropolitan area, Aurora is a big city with small-town flavor and not as hectic as the capital. 20 minutes to east of Denver, this city’s leading employers are military bases, hospitals, and schools. Aurora is a great place for your next apartment because it’s a big enough city where you won’t feel like you’re missing everything, but it’s far enough away from Denver where you won’t feel like you’re right in the middle of it all. Median gross rent for Aurora in 2009 was $865. Just over an hour to the north of Denver, Fort Collins is a great city to consider for rent. Colorado is famous for outdoor attractions, and while Fort Collins is beautiful, it’s also got some great indoor attractions, especially for families. The Discovery Science Center is fantastic and the Rocky Mountain Raptor Center (which helps injured birds of prey) is a favorite for kids of all ages. Median gross rent for Fort Collins in 2009 was $891/month. The first time I visited Westminster, I fell in love. Even though Westminster is only 20 minutes from Denver, it seems like it’s a place all to itself. If I were looking for a place to rent, Colorado’s Westminster would be at the top of my list. Everything in the city seems clean and new. The city has beautiful trails, including the Big Dry Creek Trail which residents love. Median gross rent for Westminster in 2009 was $921. Wherever you end up deciding to rent, Colorado is a beautiful place, and I’m sure you will love it. There are wonderful towns right around Denver, and as you’ve seen here, plenty of great places over an hour away. Good luck with your search! How about you? Any luck finding a place to rent? Colorado is great. Comment below.